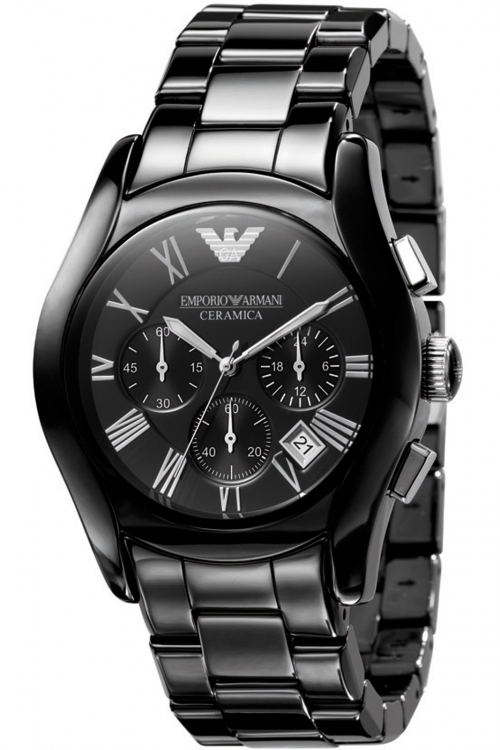 This mens Emporio Armani Ceramica watch is a classic yet stylish design in all over black ceramic. This on trend time piece is complete with date function, chronograph, high-visibility silver Roman numeral hour markers and luminescent hands. The 12 o’clock marker is a clear and striking Emporio Armani logo. It fastens with a black hidden deployment bracelet and is powered by a quality quartz movement.